As a first generation Iranian, Koorosh Ostowari (ku-rosh ostaWAARi) saw his single mother overcome great financial and cultural obstacles to provide her family with the American Dream. Following in her footsteps, Koorosh retired early from a successful 25-year career in real estate, then successfully bridged the gap between spiritual and material worlds by becoming trained as a Spirit Rock Meditation Center Dharma Leader and certified somatic therapist. 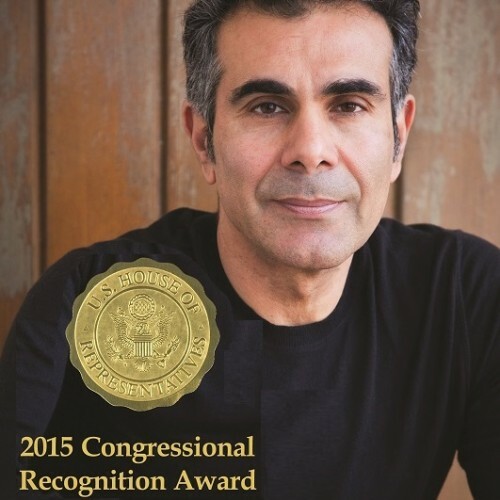 Koorosh was recently honored with the 2015 Certificate of Special Recognition by the U.S. Congress, and a Certificate of Recognition by the California State Legislature in part for his public service work within the Northern California prison system, as well as for his work with the public sector, helping clients and students cultivate mindfulness, alleviate anxiety and achieve work/life balance and financial wellbeing. His new book, The Money Anxiety Cure: A Path To Financial Wellbeing is available for pre-release at www.themoneyanxietycure.com. It offers tools to help those struggling with financial anxiety – providing a new, personally meaningful vision of prosperity. THE MONEY ANXIETY CURE: A PATH TO FINANCIAL WELLBEING by Koorosh Ostowari. February, 2015. So many of us were raised to believe that financial success and material prosperity are the most important things we can achieve in our lives. But where does that leave us when things don’t go well with our bank accounts, when we don’t achieve what we think we should have achieved when we expected to achieve it, or worse, when we make a lot of money and experience professional success only to realize we are still not happy? And when the entire world seems to be in an economic downturn, does that mean that we too are doomed to misery? 'The Money Anxiety Cure' offers the encouragement for budgeting and goal setting and provides a cure to the feelings of anxiety. It teaches readers how to create financial wellbeing by changing their attitude toward money, and creating a realistic and balanced vision for their personal prosperity. Using mindfulness, reflective journaling, and somatic tools, readers learn to better manage their anxiety around money—and their lives. Find out more about Koorosh at http://themoneyanxietycure.com/.